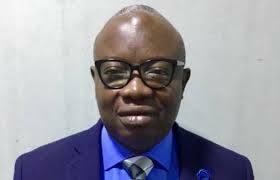 Marcel Ifejiofor, the Anambra State commissioner for Works, has praised Association of Professional Women Engineers in Nigeria, APWEN, for contributions and achievements in male-dominated engineering sector. Ifejiofor, who played host to APWEN, Awka Chapter in his office, described women engineers as taking their jobs seriously in their line of duty. He called on parents to educate the girl–child to take up science subjects in schools, in order to become engineers in future which would ultimately lead to their choice of engineering as profession. The commissioner assured them that since Ministry of Works was into civil engineering, he would liaise with his colleagues in Housing and Public Utilities to engage them. Responding, Maryjane Okoli, the president of APWEN, Awka chapter, extolled the sterling qualities of Ifejiofor in the engineering sector that earned him a Fellow, Nigerian Society of Engineers. Okoli said the objective of the organisation was to help women engineers to excel in their career and to help the girl-child to take up courses in Science, Technology, Engineering and Mathematics, STEM. She listed some of their achievements to include giving scholarship to indigent girl-child that wants to study engineering courses and organising career talks in schools. Others are soliciting from individuals, organisations through enhancement, recruitment and retention and career development of women engineers through training, mentoring and networking. However, being an NGO with sole aim of membership advancement, Okoli said that APWEN would be soliciting for sponsorship and collaboration with individuals and organisations in order to achieve their aims.